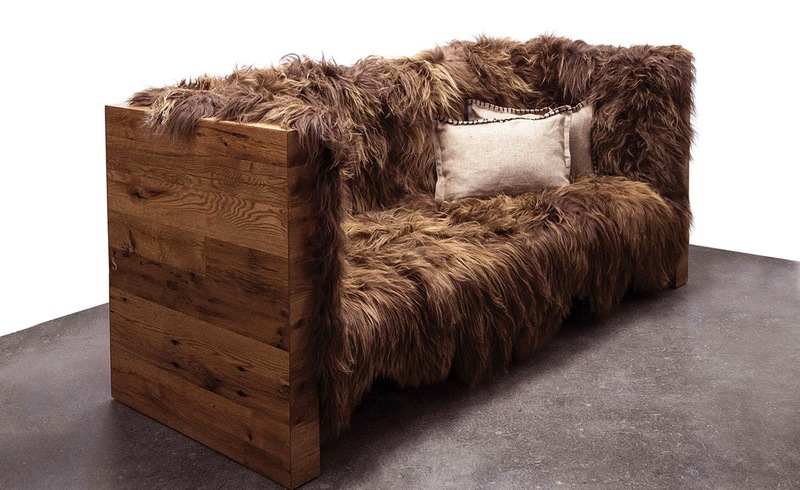 Over the year, I've seen some great fur on the runways.... but not at any of the design tradeshows...boo...until... BDNY where I found SENTIENT, design furniture handcrafted in their Brooklyn studio. Love it! 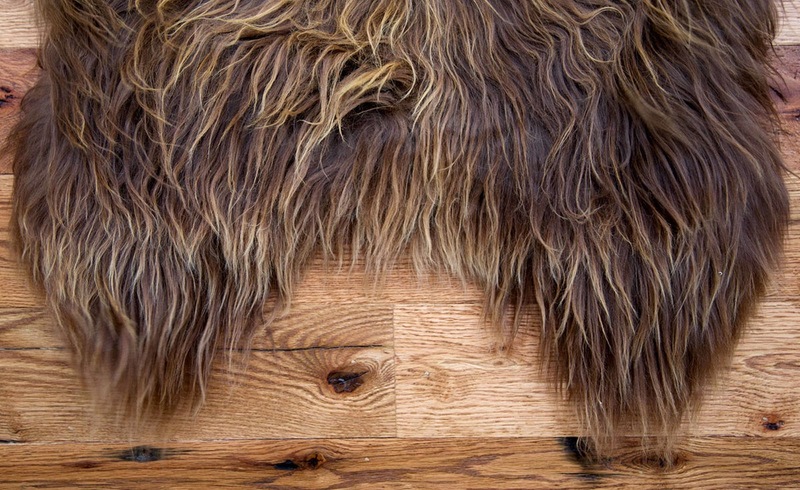 Fur set within reclaimed oak is pure old world luxury. A nice hard edge to its contrasting softer depths. 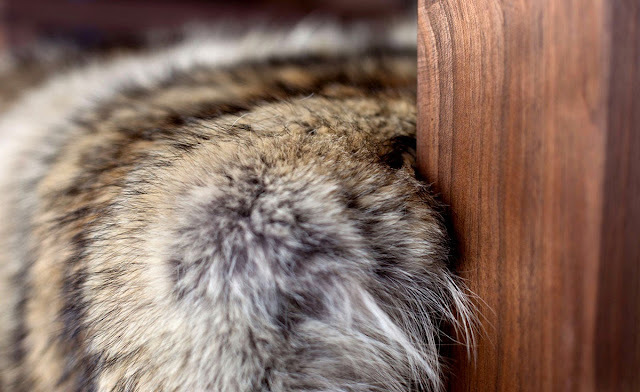 I also love how the Antique oak showcases its knots, holes, and cracks. 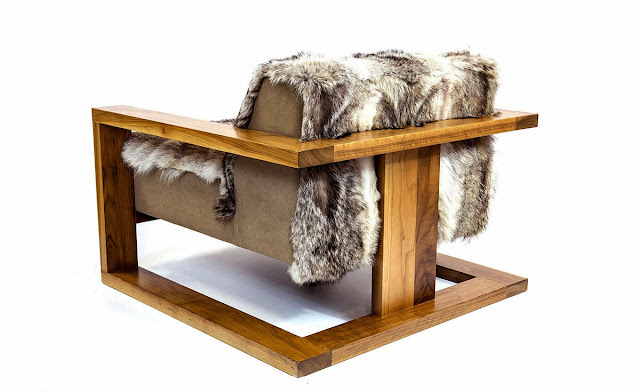 See some of their other delish designs.. 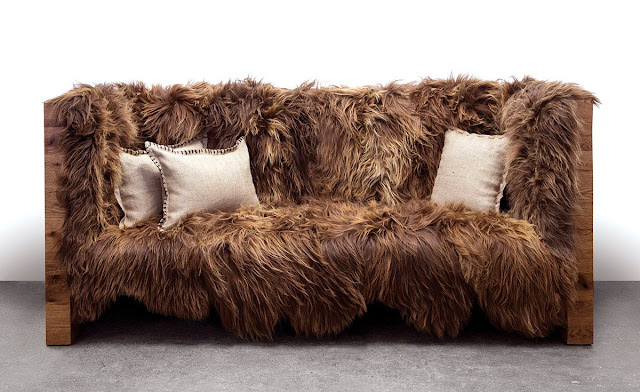 The Long wool Sofa has crazy wild long hair Icelandic sheepskin wool with gorgeous array of warm beige, brown and golden colors. 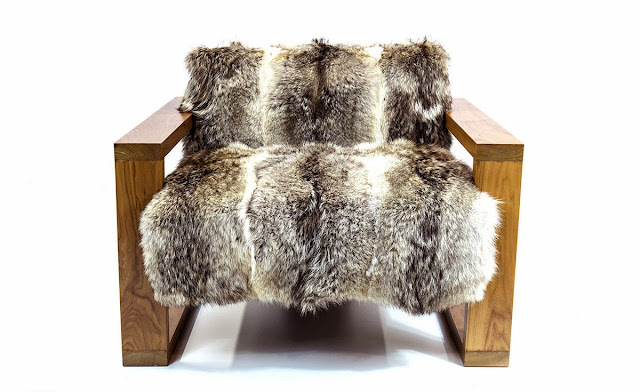 Designed by Chief design officer Nersi Nasseri. The Carabou lounge combines luxurious soft Coyote fur with American Walnut. To Die for..I'm SMITTEN!